Hawaiian Passion is Available in Black . 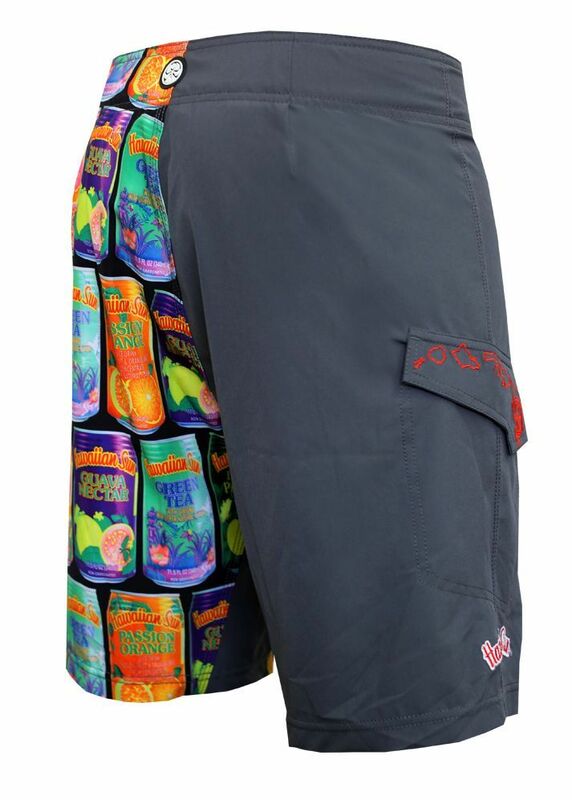 Measure your hip bone and waist to help determine how you want your boardshorts to fit on your body. 20 Inch Engineered can art on left panel and solid black right side with flap pocket. Embroidery and merrowed (Interlocking stitching), logo patch. 3 needle smooth seam.